So, yesterday I was wandering around Walmart looking for a shoe horn. Finally figured out they might be in the shoe section, since really, when was the last time you ever bought a shoe horn? Anyhow, as I was wandering around, I walked through the organization area where they have hanging shoe organizers and collapsible linen bins and I stumbled across an olive bucket. Yes, I know. It’s like a scene out of The Twilight Zone! And what was the cost of the olive bucket, you ask? Yeah, me too. I about peed my pants. It is a little smaller than a traditional olive bucket, but for 1/6th the price it is allowed to be more on the petite size. I snapped a photo and put it on Instagram, Facebook and Google+ to alert everyone of the black hole that had occurred and allowed Walmart to be cool for a few minutes. Now, before you run out to your Walmart, I have to warn you. A few of my Facebook followers found them at their Walmart and a few did not. It seems to be pretty hit and miss. And they tend to be available more often at the larger Supercenters than the smaller old school style Walmarts. In case you’re wondering, this is in no way in the world a paid advertisement for Wally World. As a matter of fact, I have a running issue with Walmart for selling Special Olympic t-shirts in the same area as they sell the teen “joke” t-shirts. Long story. Not worth going into now. Let’s just say Wally World and I are not always best buddies. But, darn, they are convenient. Just thought I’d share a thrifty version of my olive bucket with you. If you want to see some olive buckets out “in the wild”, you can find some inspiration photos of olive buckets in use in my The Many Uses For Olive Buckets post. lol, cute post….I would have peed my pants too!!! I might just have to stop at WM on the way home! Gee, I’d love to find one, I’ll be sure to look everytime I go in a Walmart now, thanks for the heads up on it! Was it the only one there or would it belong in another section of the store? Not to be had at my Walmart and after that experience I need to go straight to Happy Hour! Horrible! It’s really not too bad for $10! Awesome. I will have to look at my Walmart to see if they have them. I’ve been wanting one for awhile. I have a love/hate relationship with BlahBart too. Sigh. I get you on the T’s. I’m not a Wally World fan either, but I sure do like your bucket! 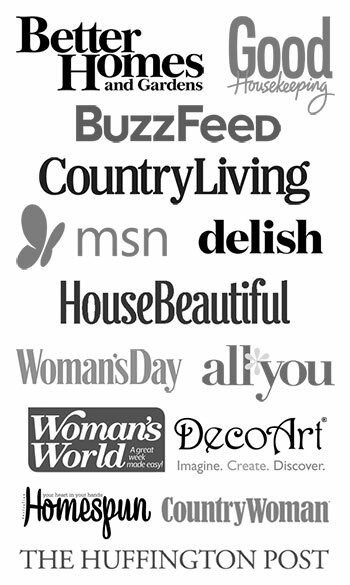 I’m wondering of Better Homes and Gardens offers them elsewhere. I’m on the hunt! 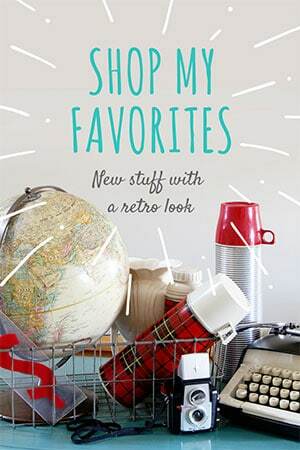 @Something Nice and Pretty – I’ve seen it at two different stores in the exact same spot and they have a shelf tag on the shelf below it, so I think that’s where it’s supposed to be. So cool! I hate going there, but I might have to venture out to grab a few of these. Thanks for the heads up! What section were they in again??? How cool. What a great find! Thanks for the heads up on Olive Buckets. We have a couple of new Walmarts here and they are very nice, clean and great customer service. I was surprised. What a find! A friend of mine calls it Hellmart. It’s too big for me to walk through. But I do order online things like toilet paper and paper towels at Walmart.com. If you buy $45 worth shipping is free. And it’s here in usually less than 48 hours. Doubt I’d see what you got online! Love this! Just looked online, and it’s out of stock. Also, the four walmarts that I could think of w/i a reasonable distance do not have it. I guess it was popular! I’m still keeping my eyes open for this one! Thanks for the tip! Isn’t that hilarious! I bet you didn’t expect that from Walmart. Target on the other hand. yes! FUN find!! Hmmm…I’m in need of a little trash can in my son’s new room…maybe I’ll get lucky at my Walmart too?? What? I totally did not see these! Very cool indeed Pam. Thanks for sharing Pam–I will be looking for these! 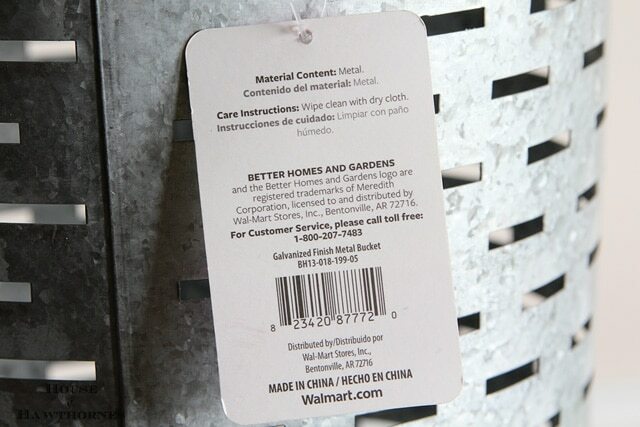 The coolness of this bucket does not over turn my refusal to shop at Walmart….dangnabbit! What is an olive bucket originally for? 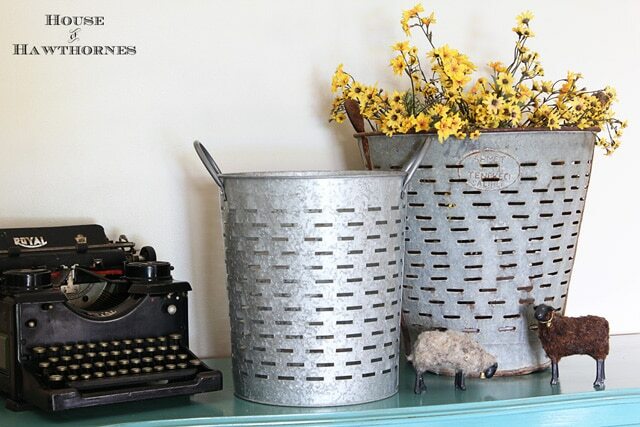 You can also buy galvanized buckets at Tractor Supply cheap. Thanks for the alert. Will check our WM out! Cute.. but you haven’t been to my Wal-Mart you would hate it!! 100 registers and only 2 people working lines are so long. I may have to go like at midnight. I guess if we wait long enough someone will reproduce whatever is popular at the time! Kinda funny in a way. I’ve never had a bad experience at Wally World but then I rarely stop there anyway. Thanks for the heads up! 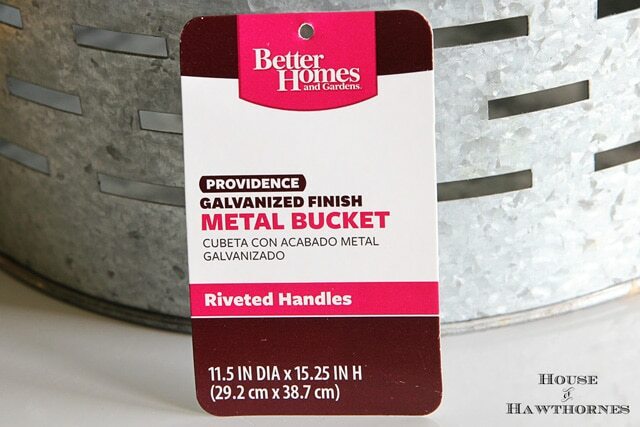 I searched for “galvanized finish metal bucket” on WM’s website and found a local store that had them in stock. I was able to buy them (I got two!) through Paypal and I’m picking them up tonight. Thanks for the tip! That is so amazing, thanks for sharing!!! I have that same love/hate thing for Walmart, I rarely go in there but will have to sacrifice to get one of these!!! Is it me or does anyone else think that these could be turned into great industrial pendant lights? Walmart has them now. I just picked one up@ the store. I had it shipped for free & picked it up at the local walmart. Very cool olive bucket knock off! Yay! Glad you could get one!! !